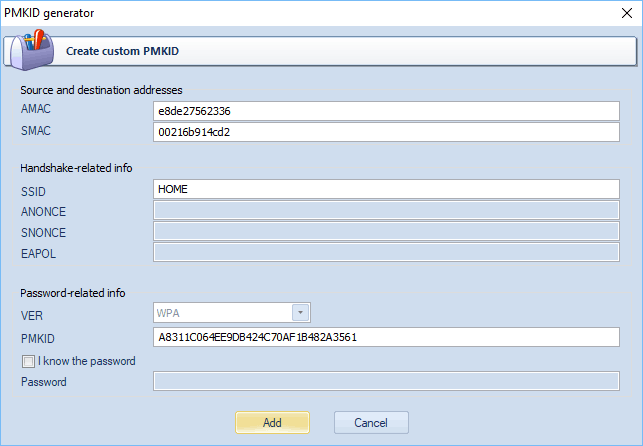 This tool is used for manual PMKID creation out of custom data. You can then load the item into the program, for example, for further password recovery, for checking password validity, etc. Note that regular PMKID is supported through importing pcap or textual dumps.